Dominic Habsburg-Lothringen, also known as Dominic von Habsburg (born 4 July 1937, Sonnberg, Lower Austria) is a member of the House of Habsburg-Lorraine, also known by his ancestral titles as Archduke Dominic of Austria, Prince of Hungary, Bohemia, and Tuscany. Dominic was born in 1937 in Sonnberg Castle [de] (Hollabrunn, Austria), where he was baptized Dominic Habsburg-Lothringen. Into the family he is named Niki. In 1942, after spending the first few years of his childhood at Sonnberg Castle, he moved with his parents, his brother, and his four sisters to Romania. In Romania, Dominic resided with his parents at Bran Castle, Braşov. After his first cousin, King Michael I of Romania, was forced to abdicate the throne in 1947, Dominic and his family were exiled by the Communist regime and sought refuge in Switzerland and Argentina before ultimately settling in the United States. In 1956, the Comunión Carloctavista y Círculo Carlos VIII courted Dominic as the legitimate Carlist claimant and heir to the Spanish throne to counter Generalísimo Francisco Franco’s choice of Juan Carlos as king of Spain. In 1975 the Comunión Carloctavista y Círculo Carlos VIII affirmed his legitimacy as Domingo I. Archduke Dominic never pursued the claim. Dominic returned to Austria in 1961 and resided there until 1976, when he moved to the Dominican Republic, Antigua, and Italy, and finally settled in New York. Dominic was naturalized as a United States citizen in 2004, he married to the Israeli born Emmanuela, former El Al flight attendant and former wife of Gad Yaacobi. 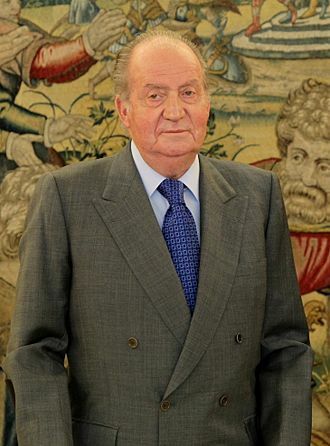 In 2012 Senator Iñaki Anasagasti of the Basque County proposed the idea of creating a Catalan-Basque-Navarrese monarchy with Archduke Dominic as its king. Dominic gained International renown in 2006 following the restitution of Bran Castle (commonly known as Dracula's Castle) in Transylvania, Romania, which had been appropriated by the Communists in 1948. Bran Castle is one of Romania's premier tourist destinations. It is also considered to be one of the world's top 10 most prestigious real estate properties[by whom?]. Dominic is an alumnus of the Brooks School and the Rhode Island School of Design, graduating from RISD in 1960 with a BFA in Industrial Design. In 1962, he established his own design and marketing consultancy firm in Austria, which covered a variety of companies and products throughout Europe and the United States. In 1969, he founded and directed the department for Product Research, Development and Design, at Semperit AG (later Continental Tire). Between 1974 and 1978, the United Nations Industrial Development Organization and the World Bank enlisted him as an expert in Central America and Africa for small and medium size industries. He was also an arts instructor in the Piesting grade school in Austria (1974–75) and a professor of industrial engineering and management at CEAT-INTEC in the Dominican Republic. In 1976, he established a silk-screen printing studio for tropical fashions in Antigua, West Indies. At the request of the Antiguan W.I. Ministry of Education, he conducted courses for educators in hand-crafts and fine arts. Today, Dominic is retired and living in New York. He continues to pursue art and design as well as running Bran Castle. ^ Patrick W. Montague-Smith (1 June 1980). Debrett's peerage and baronetage: with Her Majesty's Royal Warrant Holders 1980 : comprises information concerning the Royal Family, the peerage, Privy Counsellors, Scottish Lords of Session, baronets, and chiefs of names and clans in Scotland. Debrett's Peerage. ISBN 978-0-905649-20-7. ^ ""Navarra, Sovereign State. ironically: Since 1936 the Crown and Crown Spanish Navarra are separated."". Inaki Anasagasti website. 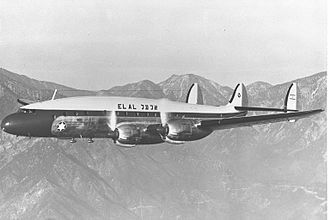 Retrieved 3 December 2012. ^ Lucy Mallows (26 November 2012). Transylvania. Bradt Travel Guides. pp. 118–. ISBN 978-1-84162-419-8. ^ a b Tulga Beyerle; Karin Hirschberger (1 January 2006). A Century of Austrian Design: 1900-2005. Walter de Gruyter. pp. 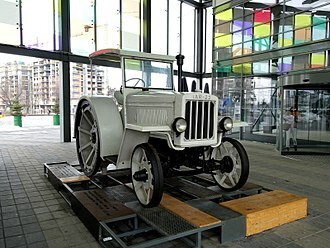 165–. ISBN 978-3-0346-0889-3. Darryl Lundy (4 September 2016). "Dominic Habsburg-Lothringen, Erzherzog von Österreich". 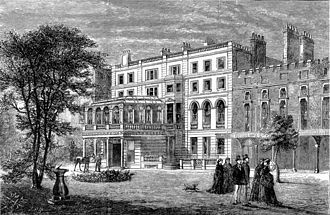 thePeerage.com. Retrieved 12 September 2016. 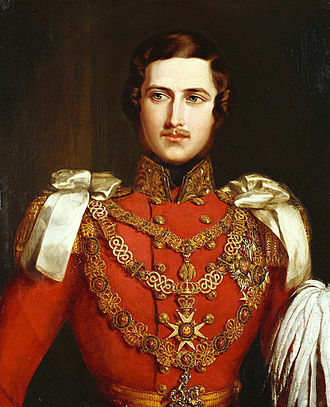 Ferdinand II was King of the Two Sicilies from 1830 until his early death in 1859. 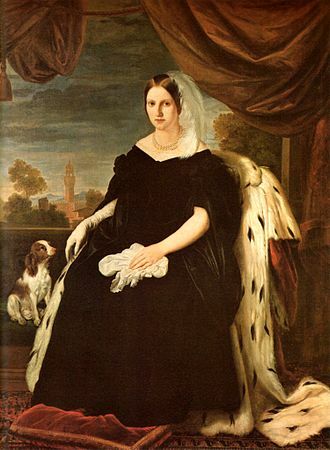 Ferdinand was born in Palermo, to King Francis I of the Two Sicilies and his paternal grandparents were King Ferdinand I of the Two Sicilies and Queen Maria Carolina of Austria. His maternal grandparents were Charles IV of Spain and Maria Luisa of Parma, Ferdinand I and Charles IV were brothers, both sons of Charles III of Spain and Maria Amalia of Saxony. In his early years he was fairly popular, progressives credited him with Liberal ideas and, in addition, his free and easy manners endeared him to the so-called lazzaroni, the lower classes of Neapolitan society. 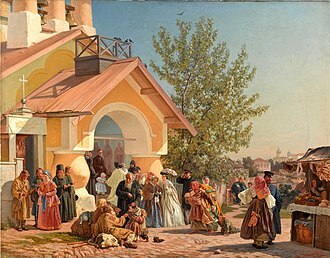 However, in 1837 he violently suppressed Sicilian demonstrators demanding a constitution, progressive intellectuals, who were motivated by visions of a new society founded upon a modern constitution, continued to demand the King to grant a constitution and to liberalize his rule. In September 1847, violent riots inspired by Liberals broke out in Reggio Calabria, on 12 January 1848 a rising in Palermo spread throughout the island and served as a spark for the Revolutions of 1848 all over Europe. 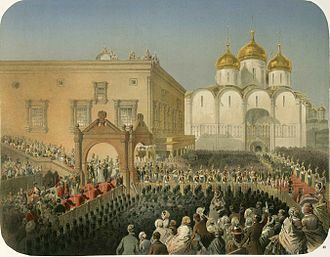 A dispute, arose as to the nature of the oath which should be taken by the members of the chamber of deputies, as an agreement could not be reached and the King refused to compromise, riots continued in the streets. Eventually, the King ordered the army to break them and dissolved the parliament on 13 March 1849. 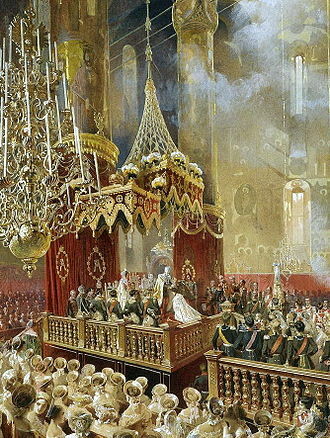 Although the constitution was never formally abrogated, the King returned to reigning as an absolute monarch, during this period, Ferdinand showed his attachment to Pope Pius IX by granting him asylum at Gaeta. The pope had been forced to flee from Rome following similar revolutionary disturbances. In the meantime, Sicily proclaimed its independence under the leadership of Ruggeru Sèttimu, in response, the King assembled an army of 20,000 under the command of General Carlo Filangieri and dispatched it to Sicily to subdue the Liberals and restore his authority. After a campaign lasting close to nine months, Sicilys Liberal regime was completely subdued on 15 May 1849, between 1848 and 1851, the policies of King Ferdinand caused many to go into exile. Meanwhile, an estimated 2,000 suspected revolutionaries or dissidents were jailed, gladstone had not actually been to Southern Italy and so some of his accusations were unreliable, but reports of misgovernment in the Two Sicilies were widespread throughout Europe during the 1850s. The British government, which had been the ally and protector of the Bourbon dynasty during the Napoleonic Wars, had already additional interests to limit the independence of the kingdom and it had extensive business interests in Sicily and relied on Sicilian sulfur for certain industries. 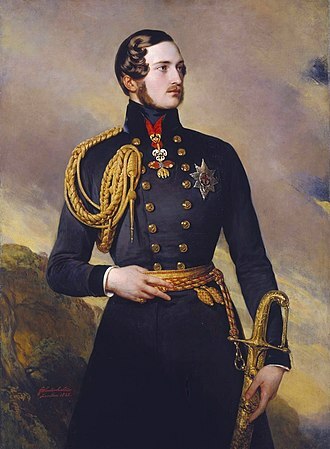 The King had endeavored to limit British influence, which had begun to cause tension, as Ferdinand ignored the advice of the British and the French governments, those powers recalled their ambassadors in 1856. A soldier attempted to assassinate Ferdinand in 1856, and many believe that the infection he received from the soldiers led to his ultimate demise. He died on 22 May 1859, shortly after the Second French Empire and this would lead to the invasion of his Kingdom by Giuseppe Garibaldi and Italian unification in 1861. Sigismund of Austria, Archduke of Further Austria was a Habsburg archduke of Austria and ruler of Tirol from 1446 to 1490. 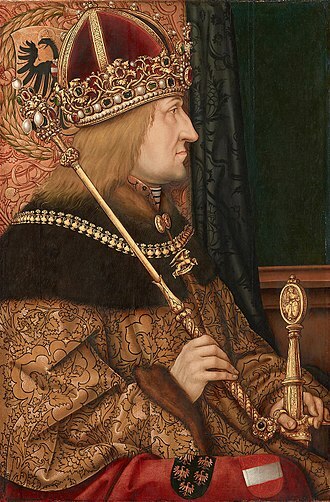 Sigismund was born in Innsbruck, his parents were Frederick IV, Duke of Austria and he was a first cousin of Frederick III, Holy Roman Emperor, who served as regent until 1446. In 1449, he married Eleanor of Scotland, the daughter of James I, for much of his reign, Sigismund was engaged in disputes with Nicholas of Cusa, bishop of Brixen, for the control of the Eisack and Inn valleys. In 1460, when he had Nicholas imprisoned, he was excommunicated by Pope Pius II, the bishop fled to Todi, but died before the archduke surrendered in order to receive the papal pardon. In 1469, he sold his lands on the Rhine and in the Alsace to Charles, in any case, he bought back these possessions in 1474, and together with the Swiss and the Alsatian cities, he sided against Charles in the Battle of Héricourt. In 1477, Frederick III made him archduke, three years later, Eleanor died, and 1484, Sigismund married the 16-year-old Catherine of Saxony, daughter of Albert, Duke of Saxony. He had no offspring from either marriage and this coin was the ancestor of many of the major European coin denominations to come and of the US dollar. This production of large coinage exploded as silver from Spains colonies in the Americas flooded the European economy and it is from these reforms in part that Sigismund acquired the nickname of der Münzreiche, or rich in coin. Sigismund was easily swayed by the bad advice of his council and in March 1487 entered into a war with the Republic of Venice. Tyrol stormed the Pass of Calliano and besieged the castle at Rovereto using a massive bombard, the war continued through summer but ended with no decisive victory for either side. One notable casualty of the conflict was the condottiero Roberto Sanseverino dAragona, by 1490 the opposition of the population of Tirol compelled Sigismund to hand over the rulership to Archduke Maximilian I, who became Holy Roman Emperor. Whether Sigismund voluntarily handed over power to Maximilian or was coerced by the latter is not clear. Michael I reigned as King of Romania from 20 July 1927 to 8 June 1930 and again from 6 September 1940 until his abdication on 30 December 1947. 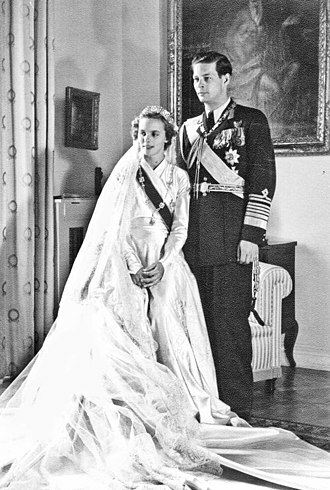 Shortly after his birth, Michaels father Prince Carol had become involved in a relationship with Magda Lupescu. 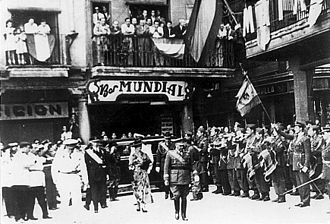 In 1925, Carol was eventually pressured to renounce his rights to the throne, in 1927, Michael ascended the throne following the death of his grandfather, Ferdinand I. As he was still a minor, a council was instituted which composed of his uncle, Prince Nicholas, the Patriarch Miron Cristea. The council proved to be ineffective and in 1930, Carol returned to Romania, as a result, Michael returned to being heir apparent to the throne and was given the additional title of Grand Voievod of Alba-Iulia. 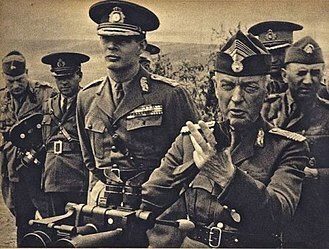 Carol II was deposed in 1940, and Michael once again became king, under the government led by the military dictator Ion Antonescu, Romania became aligned with Nazi Germany. In 1944, Michael participated in a coup against Antonescu, appointed Constantin Sănătescu as his replacement, in March 1945, political pressures forced Michael to appoint a pro-Soviet government headed by Petru Groza. 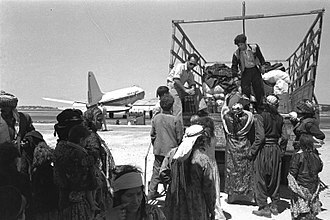 From August 1945 to January 1946, Michael went on a strike and unsuccessfully tried to oppose Grozas Communist-controlled government by refusing to sign. In November, Michael attended the wedding of his cousins, the future Queen Elizabeth II, shortly thereafter, on the morning of 30 December 1947, Groza requested a meeting with Michael where he was forced to abdicate. Michael was forced into exile, confiscated of his properties, and he married Princess Anne of Bourbon-Parma in 1948 with whom he had five daughters and eventually settled in Switzerland. Nicolae Ceaușescus communist dictatorship collapsed in 1989 and the following year Michael attempted to return to Romania only to be arrested and forced to leave upon arrival. In 1992, Michael was allowed to visit Romania for Easter where he was greeted by huge crowds, alarmed by Michaels popularity, the government refused to allow Michael further visits. 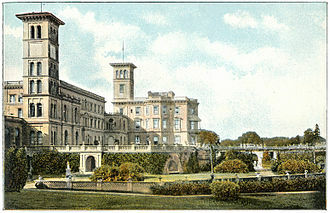 In 1997, after Iliescus defeat by Emil Constantinescu, Michaels citizenship was restored, several confiscated properties, such as Elisabeta Palace, were eventually returned to his family. 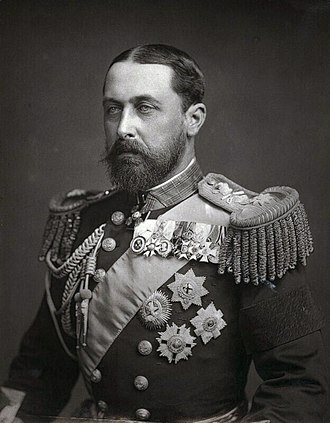 Don Carlos, Duke of Madrid was the senior member of the House of Bourbon from 1887 until his death. 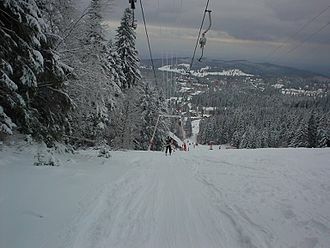 Carlos was born in Ljubljana, the capital of Carniola in what is now Slovenia and his name in full was Carlos María de los Dolores Juan Isidro José Francisco, Quirico Antonio Miguel Gabriel Rafael. 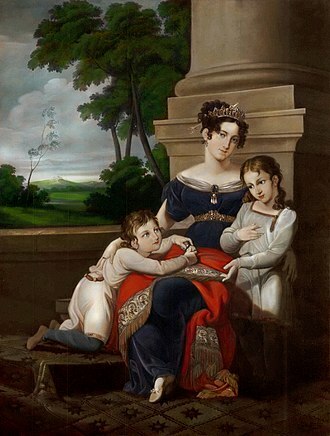 As an infant he lived with his family briefly in London where his younger brother Alfonso was born, after their father, considered too liberal for Carlist tastes, left their mother, the boys lived with her in Modena. 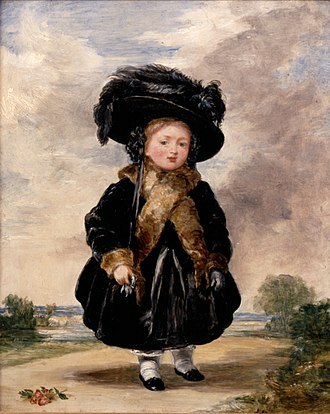 Her brother Duke Francis V of Modena was largely responsible for the education of the boys and was the influence in their early lives. 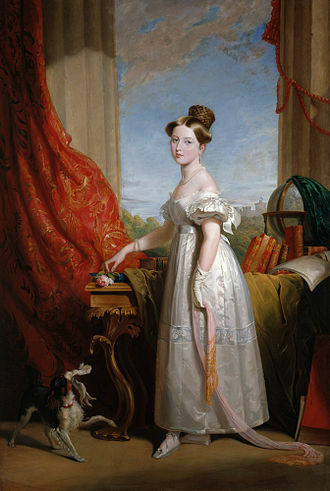 Carlos was known for his traditionalist views, much different from those of his father, on February 4,1867, at Frohsdorf in Austria, Carlos married Princess Margherita of Bourbon-Parma, daughter of Duke Charles III of Parma and of his wife, Louise Marie Thérèse of France. The couple had five children, Infanta Blanca of Spain m in 1889 at Frohsdorf Archduke Leopold Salvator of Austria, Duke of Madrid Infanta Elvira of Spain died unmarried. The United Nations Industrial Development Organization, French/Spanish acronym ONUDI, is a specialized agency in the United Nations system, headquartered in Vienna, Austria. It is a member of the United Nations Development Group, UNIDO believes that competitive and environmentally sustainable industry has a crucial role to play in accelerating economic growth, reducing poverty and achieving the Millennium Development Goals. UNIDO thus works largely in developing countries, with governments, business associations, UNIDO was established as a UN programme in 1966 with headquarters in Vienna and became a specialized agency of the United Nations in 1985. In 2004, UNIDO established the UNIDO Goodwill Ambassador programme, in 2009, UNIDO created a new flagship publication, Making It, Industry for Development. As of January 2017,168 States are Members of UNIDO, the estimated total volume of UNIDO operations for the biennium 2012–2013 is €460 million, the value of technical cooperation delivery in 2012 amounted to $189.2 million. UNIDOs services therefore focus on encouraging the creation of decent employment, the technical ability of developing countries to produce competitive exportable products that comply with international standards is key to their successful participation in international trade. Fundamental changes in the way societies produce and consume are indispensable for achieving global sustainable development, UNIDO therefore promotes sustainable patterns of industrial consumption and production to de-link the processes of economic growth and environmental degradation. UNIDO is a provider of services for improved industrial energy efficiency. 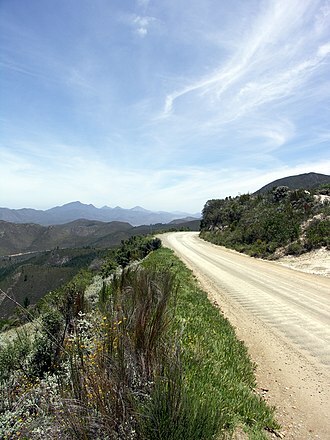 It assists developing countries in implementing multilateral environmental agreements and in reaching their economic. UNIDO organizes the Global Renewable Energy Forum in October 2009, the Industry Section of the Secretariat became a branch in 1959, and in 1962 it became the Industrial Development Centre, headed by a Commissioner for Industrial Development. In the aftermath, proposals for further institutionalizing industrial development-related issues within the UN were considered by various advisory groups, the United Nations General Assembly created the UNIDO in November 1966 as a special organ of the United Nations. In January 1967, the Organization was formally established with Headquarters in Vienna, compared to the Industrial Development Centre, UNIDOs creation was intended to broaden the work of its predecessor. The setting up of UNIDO as a special organ had nonetheless been a compromise solution, the developing countries had in the first instance promoted the idea of a specialized agency with its own political decision-making governing bodies and autonomy in budgetary matters. The same position was advocated by several high-level expert groups and intergovernmental committees during the following years, an intergovernmental committee prepared a draft constitution, which was adopted in Vienna in 1979. However, the objections and doubts of industrialized countries as to the necessity of a specialized agency contributed to delaying the ratification process. All necessary formal requirements were fulfilled in 1985, and in December of the same year, during the subsequent years, UNIDO continuously expanded particularly its operational activities. Bran Castle, situated near Bran and in the immediate vicinity of Braşov, is a national monument and landmark in Romania. The fortress is situated on the border between Transylvania and Wallachia, on DN73, commonly known as Draculas Castle, it is often erroneously referred to as the home of the title character in Bram Stokers Dracula. There is, however, no evidence that Stoker knew anything about this castle, which has only tangential associations with Vlad the Impaler, voivode of Wallachia, Stokers description of Draculas crumbling fictional castle bears no resemblance to Bran Castle. The castle is now a dedicated to displaying art and furniture collected by Queen Maria. Tourists can see the interior individually or by a guided tour, at the bottom of the hill is a small open-air museum park exhibiting traditional Romanian peasant structures from across the country. In 1438–1442, the castle was used in defense against the Ottoman Empire and it is believed the castle was briefly held by Mircea the Elder of Wallachia during whose period the customs point was established. 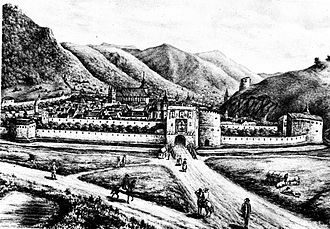 The Wallachian ruler Vlad Țepeș does not seem to have had a significant role in the history of the fortress, although he passed several times through the Bran Gorge. Bran Castle belonged to the Hungarian Kings but due to the failure of King Vladislas II to repay loans, Bran played a militarily strategic role up to the mid-18th century. In 1920 the Treaty of Trianon deprived Hungary of Transylvania, and it became the favorite home and retreat of Queen Marie, who ordered its extensive renovation conducted by the Czech architect Karel Zdeněk Líman. The castle was inherited by her daughter Princess Ileana who ran a hospital there in World War II, however, in October 2007 the Constitutional Court of Romania rejected the parliaments petition on the matter. On 18 May 2009, the Bran Castle administration was transferred from the government to the administration of Archduke Dominic and his sisters Maria-Magdalena Holzhausen, poenari Castle, an authentic Vlad the Impaler castle ruin Corvin Castle a. k. a. Grand Duke Leopold in the uniform of an Austrian Field Marshal, 1828, by Pietro Benvenuti. 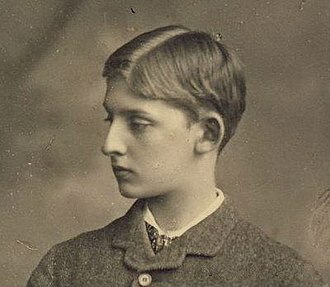 Portrait of Leopold II as a young man.